Oregon Insurance Advisor is a website owned and operated by licensed Portland Oregon insurance agent Mark Strauss. I’m an Oregon & Washington licensed a Property, Casualty, Health & Life Producer and authorized to transact insurance under the brokerage licenses of Leonard Adams Insurance. As a third generation locally owned and operated Portland, Oregon insurance broker Leonard Adams Insurance has been serving the Pacific Northwest since 1933. Leonard Adams is committed to the Independent Insurance Agency System, this system provides the buying public with the best possible combination of customer service, insurance coverage, and competitive pricing. Leonard Adams Insurance does business with the following “A” or better rated markets. Once complete underwriting information is provided to our carriers most of them provide insurance quotes within 3-5 days of the original submission. 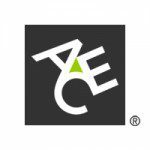 ACE American Insurance Company has an A.M. Best Company financial strength rating of “A++” (Superior). Allied Insurance is a member of the Nationwide Mutual Insurance Company and has an A.M. Best Company financial strength rating of “A+” (Superior). Anchor Bay Insurance Managers is a Wholesale Broker and Program Manager for Restaurants, Bars, and Taverns. financial strength rating of “A+” (Superior). Capital Insurance Group has an A.M. Best Company financial strength rating of “A” (Excellent). Chubb Group has an A.M. Best Company financial strength rating of “A++” (Superior). 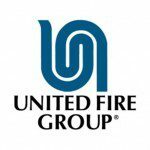 Financial Pacific Insurance Company operates under United Fire & Casualty Group which has an A.M. Best Company financial strength rating of “A” (Excellent). Foremost Insurance Group has an A.M. Best Company financial strength rating of “A” (Excellent). Geovera Insurance has an A.M. Best Company financial strength rating of “A” (Excellent). The Hanover Insurance Group has an A.M. Best Company financial strength rating of “A” (Excellent). 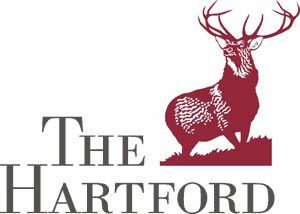 Hartford Financial Services Group has an A.M. Best Company financial strength rating of “A” (Excellent). 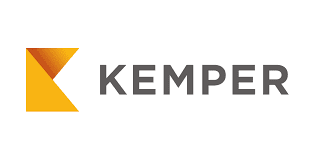 Kemper Preferred has an A.M. Best Company financial strength rating of “A-” (Excellent). Liberty Mutual ranks on the Fortune 100 list of largest corporations in the United States (based on annual revenue) with an A.M. Best Company financial strength rating of “A” (Excellent). Mutual of Enumclaw has an A.M. Best Company financial strength rating of “A-” (Excellent). Oregon Mutual Insurance has an A.M. Best Company financial strength rating of “A-” (Excellent). Philadelphia Insurance has an A.M. Best Company financial strength rating of “A++” (Superior). 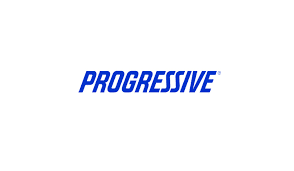 Progressive Insurance has an A.M. Best Company financial strength rating of “A” (Excellent). QBE Insurance Group has an A.M. Best Company financial strength rating of “A” (Excellent). Red Shield Insurance has an A.M. Best Company financial strength rating of “A” (Excellent). ***SAIF Corporation chooses to not be evaluated by A.M. Best Company. You can view the most recent financial performance of SAIF Corporation by following this link. Safeco Insurance has an A.M. Best Company financial strength rating of “A” (Excellent). Travelers Insurance has an A.M. Best Company financial strength rating of “A” (Excellent). Western National Insurance Group (WNIG) has an A.M. Best Company financial strength rating of “A” (Excellent). * Please note due to the large number of insurance companies that I work with this list can change at any time.